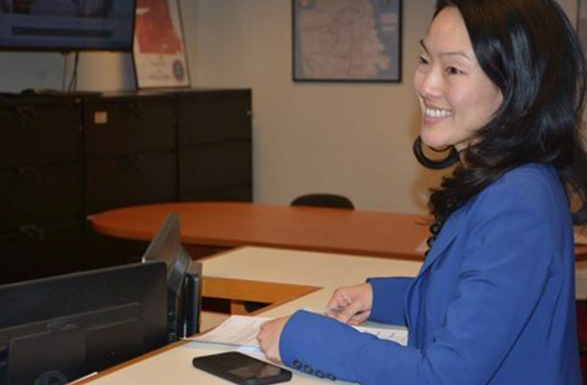 SAN FRANCISCO — Supervisor Jane Kim filed paperwork on Dec. 20 to run for mayor of San Francisco. The vacancy was created by the sudden death on Dec. 12 of Mayor Ed Lee, who was midway through his second term. Supervisor London Breed is serving as acting mayor. Other announced candidates include former State Sen. Mark Leno and former Supervisor Angela Alioto. Kim, the first Korean American member of the Board of Supervisors, has represented District 6, which includes South of Market and the Tenderloin, since 2011. She previously served on the San Francisco Board of Education. In 2016, she ran for the District 11 seat in the State Senate, but lost to Supervisor Scott Wiener in the Democratic primary. Her endorsers included former presidential candidate Bernie Sanders. “Our city and our next mayor will be confronted with the question of what kind of San Francisco we want to be, not just for the next two years but for the next generation,” Kim said. “Mayor Lee began the process of shepherding us through a period of great transition and it’s important we continue that work and make the needed changes to address income inequality, housing costs, affordable child care and homelessness. “These are among the many interconnected challenges that come due to the rising gap between rich and poor – and the hollowing out of our middle class. “It is time for fundamental change. If we stay on the path we are on, things will get even better for the wealthiest among us, but worse for the rest of us. I’m asking our residents and businesses, big and small, to come together to invest in a city we all love and solve these problems together.